Benighted play a very visceral form of death metal. The type of go for the throat method of performing is influenced by Carcass, but taken to its own unique places with Necrobleed. The songs are brief, but make a huge impact with the ferocious guitars. Speaking of the guitars, they sound as abrasive and hard-hitting as possible here. The goal is to make these short song excursions as punishing as possible. The songs are also somewhat guttural, featuring a singer that sounds somewhat like a pig. This adds to the atmosphere and makes for a greater overall impact. Despite the ferociousness present this is not the best the band could do. It doesn’t have the complexity of something like Necroticism and thus in the future, I’d like to see this band try to up the difficulty of the songs their performing. It would be nice to hear a twisting and changing nature to the songs that would make them more compelling to listen to. 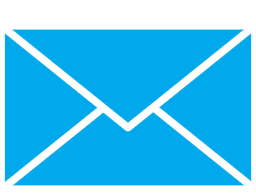 As it stands the fast and visceral approach works for the band, so why not utilize it? It just that it seems to be limiting the amount of things the band is capable of. They never seem to be pushing boundaries, but seemingly only try to work within them. This leads to a furious form of death metal that is convenient to the band and performed to a solid extent. This band reminds me strongly of Aborted and likewise that band seems to be performing within boundaries as well. The two bands have such a ferocious style that results in quick and hard-hitting songs. While this type of music is performed as well as possible, it is still limited. 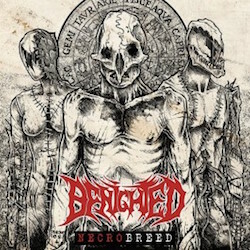 Still, fans of the style will find a great deal of things to like with Benighted’s newest musical attempt. Things are indeed proper to a proper finale on Mass Grave as well, ending on one of the stronger moments of the disc.